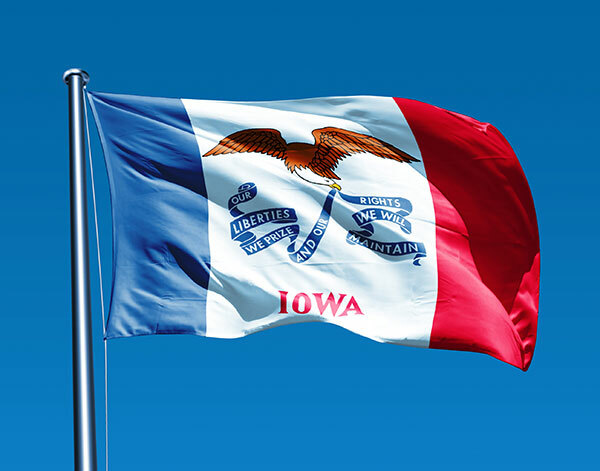 Named by CNBC as one of America's Top States for Business, Iowa has the perfect mixture of agriculture and manufacturing. The state's factories regularly churn out tractors, combines, and other farm machinery, which its innovative farmers use to supply much of the country's pork, corn, soybeans, and beef. Hot Shot Trucking keeps this economic engine well oiled, providing safe, speedy transportation to, from, and between Iowa's many industries. When shipping both agricultural equipment and agriculture itself, time is of the essence. Farm equipment must make it from the factory to the fields in time for Iowa's planting and harvest season. Likewise, after farmers have harvested to their crops, they must be able to send them to market before they start to go bad; they may also need to ship them with specific types of equipment. This is challenging enough to coordinate within Iowa; for businesses sending food and equipment out of the state, or importing them from other states, it is a formidable task. Hot Shot Trucking is up to the challenge. Our drivers have experience serving farmers, manufacturers, and a myriad of other industries, knowing exactly how to satisfy all types of businesses. Consistent Contact - Hot Shot Trucking serves as a single point of contact for all our customers and their clients. Whether you're placing a new order, inquiring about an existing one, or giving new instructions for how your goods are to be handled, we will listen to you in detail and follow your instructions diligently. We keep close tabs on all our trucks, and can update you at any time. Team Trucking - We send two drivers with every truck that has to travel a major distance. This way, the drivers can take turns resting without having to stop the vehicle, maximizing both speed and safety. Diligent Dedication - We dedicate a Hot Shot truck to each customer's order, and outfit that truck with all of the equipment necessary to complete the shipment safely. You thus won't have to wait for us to travel to other customers before we get to you. 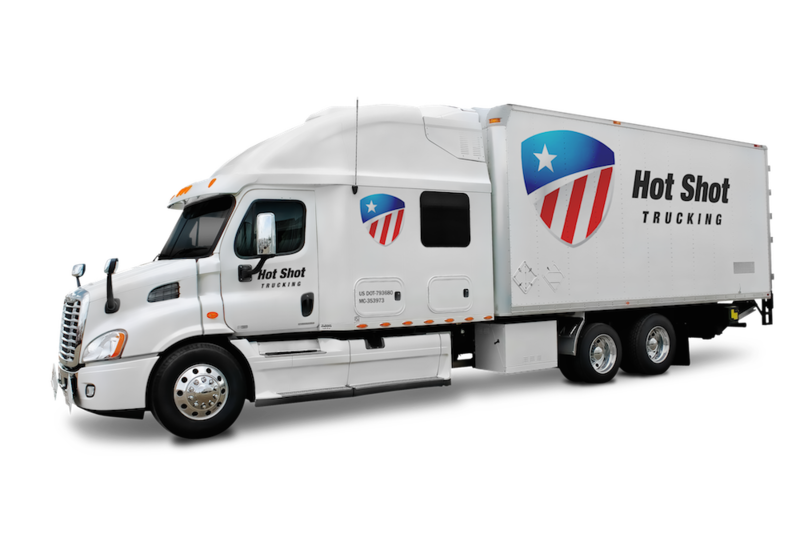 Vehicle Varieties - Hot Shot Trucking's fleet consists of sprinter vans, small and large straight trucks, and tractor trailers. 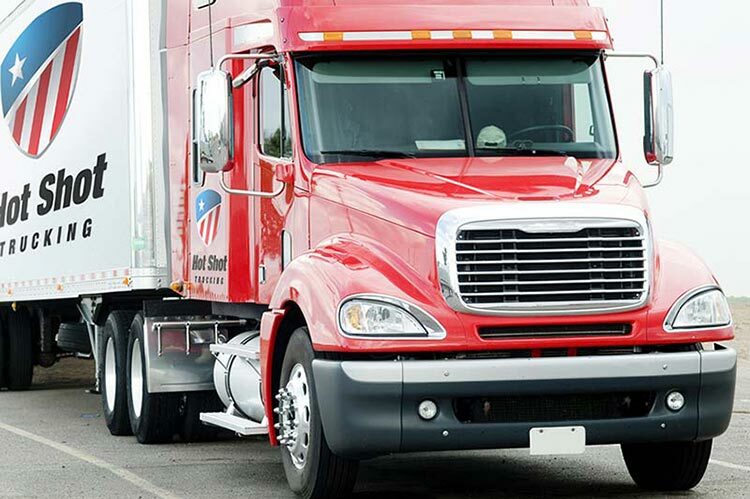 We assign each truck based on the size of your inventory. This means that you will never have to pay for excess space. Maintenance Marvels - The Hot Shot service team spares no expense to keep our trucks in full working order. Through periodic inspections, we identify equipment problems early on and respond with high-quality repairs and upgrades. This prevents breakdowns, speeds our trucks up, and improves fuel economy. Hot Shot Trucking has comprehensive vehicle coverage in cities across the United States and Canada, including Des Moines and Cedar Rapids. The size of our network allows us to respond quickly to your orders, typically picking them up within two hours no matter where the starting point is. To request a quote for your next Hot Shot shipment, call (800) 713-1000 or visit our website today.